Police said they have received a "number of complaints", but "no offences have been detected to date". 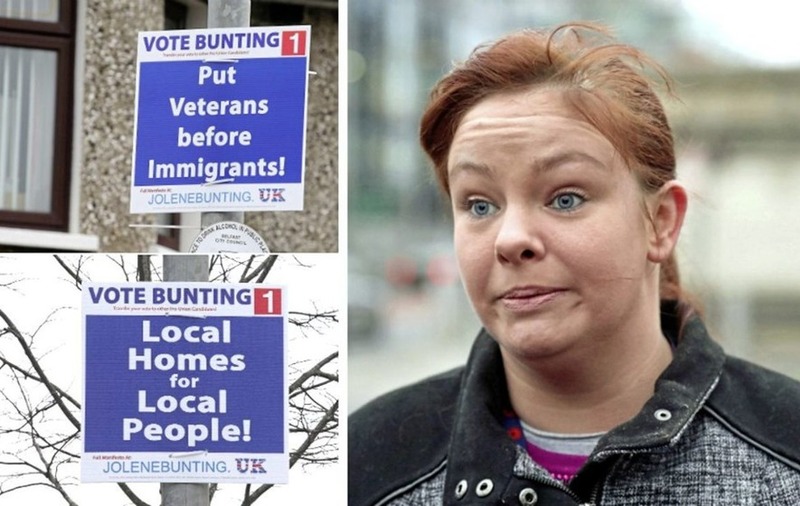 Ms Bunting, who is seeking re-election next month, has put up campaign posters with slogans about subjects including immigration and prosecutions of soldiers over Troubles' killings. 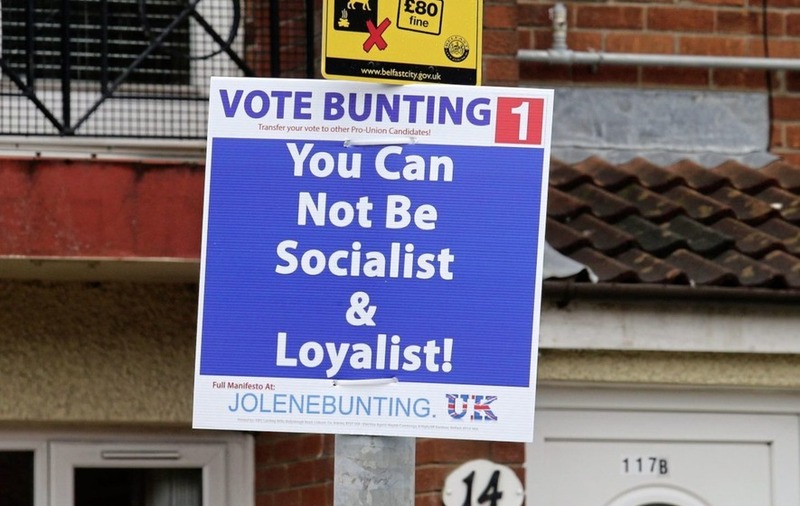 They include "Put veterans before immigrants" and "Local homes for local people" as well as "You cannot be socialist and loyalist" and "Stop the witch hunt of Operation Banner veterans". 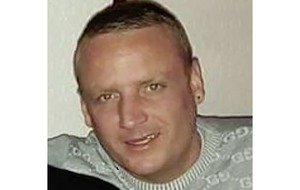 Sinn Féin councillor Ciaran Beattie described the posters as the "politics of hate", while Alliance representative Micky Murray branded them "blatant, everyday racism". 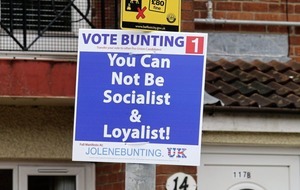 Ms Bunting, an independent unionist for the Court area, denied claims that the slogans are racist and accused Sinn Féin of "hypocrisy", referencing IRA violence during the Troubles. 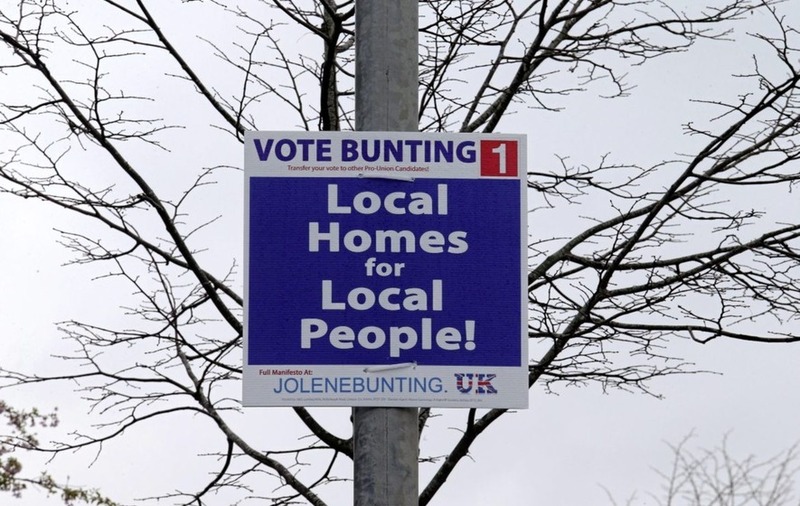 In a statement PSNI Chief Superintendent Jonathan Roberts said: "Police have received a number of complaints in relation to a number of election posters in the Belfast area. "While no offences have been detected to date, we will carefully consider any reports about the content or positioning of any material and investigate if appropriate." Last month a High Court judge dismissed an appeal by Ms Bunting against receiving a four-month interim suspension from a council standards watchdog. The Local Government Commissioner for Standards took the step in September pending the outcome of an investigation into 14 complaints against her. They included comments she made on a video outside Belfast Islamic Centre, and her participation at a rally in Belfast by far-right group Britain First. The judge found the watchdog's action was merited, ruling that Ms Bunting's public alignment with anti-Islamic speeches went beyond enhanced legal protection for political expression.